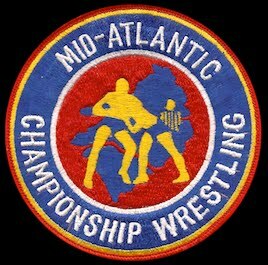 Elliott Murnick, whose Mid-Atlantic Wrestling promotional roots dated back to the 1950s, passed away in his sleep Monday morning at his home in Raleigh. His age was listed as 75, but to those who knew him, Elliott seemed timeless. 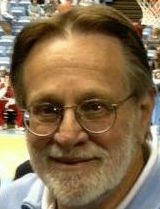 David Crockett, 71, was a second-generation bookend to Elliott Murnick. 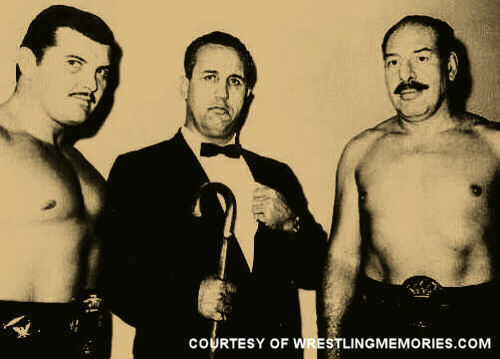 Sons of powerful promoters who were business partners and friends going back to the ‘50s, the two continued their fathers’ legacy in the wrestling business. The team consisted of David, with brothers Jim Jr. and Jackie Crockett, and sister Frances Crockett Ringley, who was the first woman general manager of a professional baseball team (Charlotte Orioles). 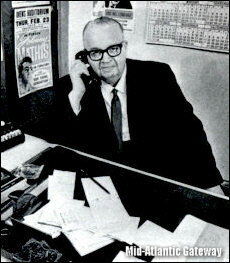 And Elliott and Carl Murnick, who took over after their father’s death and continued to be heavily involved with Crockett Promotions and some of that company’s biggest events. 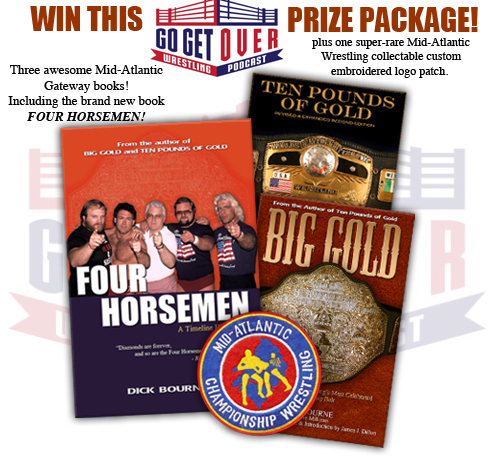 Win this great prize package from the guys at the "GO GET OVER" podcast. The "Go Get Over" Podcast is one of our personal favorites here at the Mid-Atlantic Gateway. 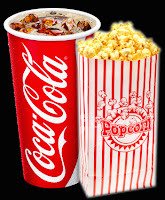 (2) SHARE their post about the contest on your Facebook page. That's all you have to do, and then you're automatically entered in the drawing for this prize package. 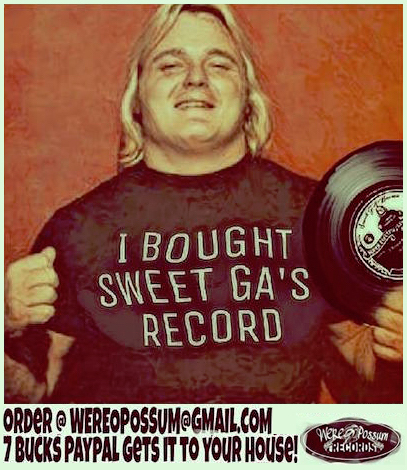 Chris and Joey host a fun podcast at WRALSportsFan.com each week with a look back at classic pro wrestling as well as wrestling today. Great guys, and a great podcast. Check them out! 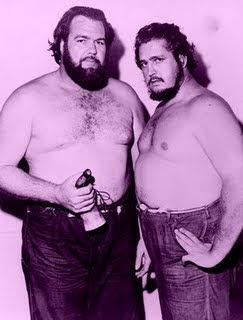 And as Dusty Rhodes once told Arn Anderson when he first came to Jim Crockett Promotions in 1985 - - go get over! 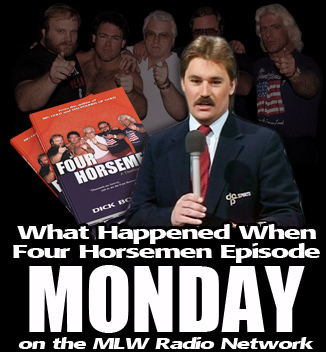 This coming Monday, June 26, Tony Schiavone and Conrad Thompson will present PART 2 of their FOUR HORSEMEN series on their popular "What Happened When" podcast on the MLW Radio Network. 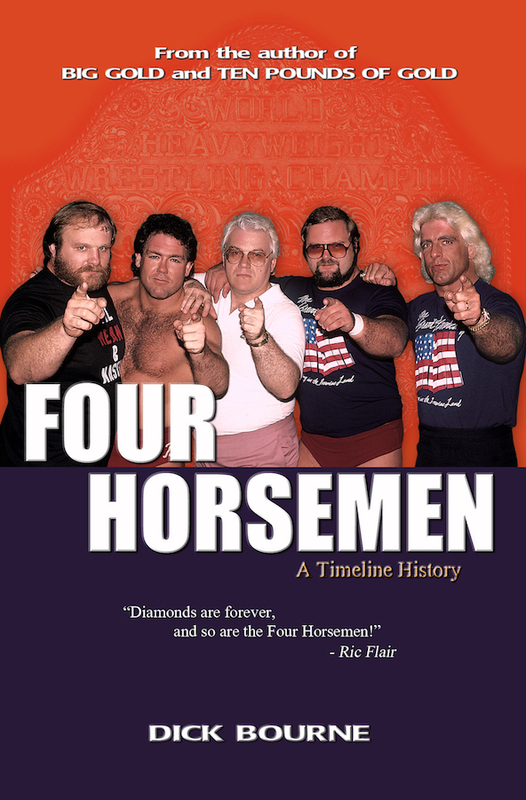 The series also celebrates the new book "Four Horsemen: A Timeline History", which has been an Amazon #1 bestseller in wrestling books most of the time since it's launch back on June 5th. 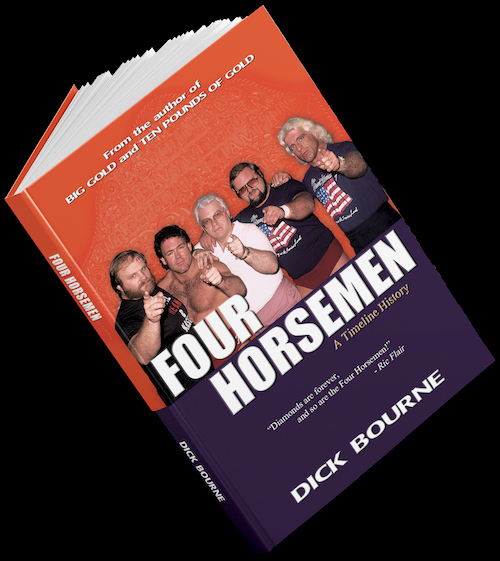 Part 1 that debuted on 6/19 (available for streaming or download now) covered the origins of the Four Horsemen, the original version with Ole Anderson, and the Lex Luger version of 1987. They left off with Lex being kicked out of the Horsemen, which sets the stage for Barry Windham joining the group in 1988. This is the version of the Horsemen that most fans pick as technically the best, but that will be an interesting point of discussion. Tony has already declared he thought the Ole Anderson version was the best. James J. Dillon has echoed those sentiments. At various times Ric Flair and Arn Anderson have also said the same. Conrad hasn't declared yet, so that particular topic will be fun this Monday. 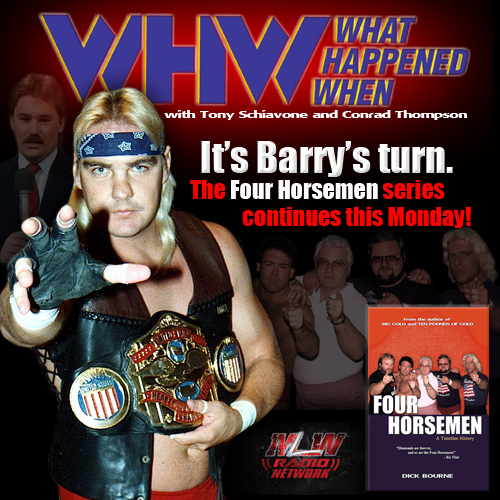 The special Four Horsemen podcast series with Tony and Conrad continues this Monday, June 26 on the MLW Radio Network, iTunes, and from wherever you download your podcasts. Tune in Monday to "What Happened When"! Johnny “The Champ” Valentine and “The Chief” Wahoo McDaniel had many memorable battles inside the ring while in Jim Crockett Promotions, but one of their most memorable exchanges for me didn’t involve fisticuffs, but was of the verbal variety. 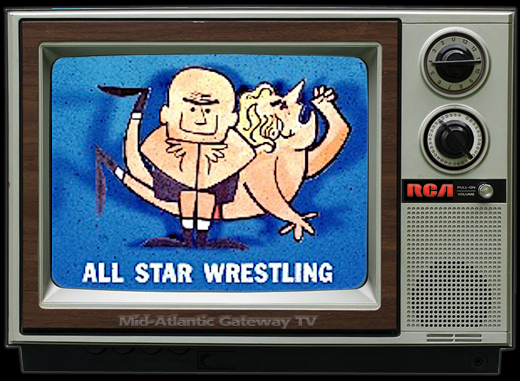 The two squared off during the Mid-Atlantic Championship Wrestling 1974 year-end highlights show hosted by Sam Menacker, and the verbal sparks would fly! 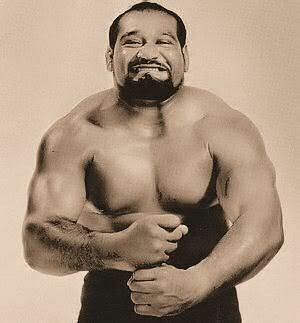 With Wahoo and Valentine together in the empty TV studio in December of 1974, Menacker showed a clip of Valentine brutalizing the preliminary wrestler Tapu on TV several months earlier with Wahoo coming in the ring to aid the fallen Samoan grappler. The Chief caught the Champ with a suplex and left Valentine in an exceedingly rare posture…on his back, looking up at the television studio lights. 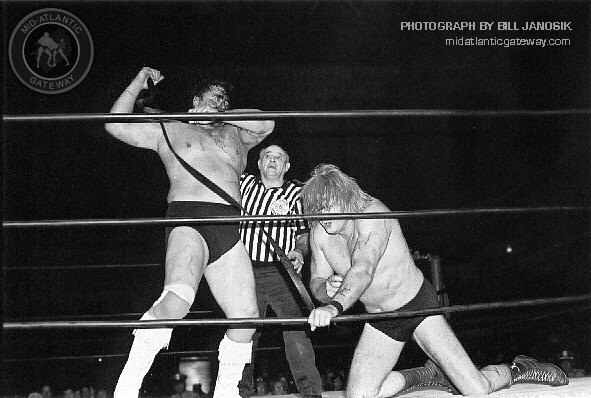 Wahoo McDaniel and Johnny Valentine had a feud for the ages. As Menacker bid the fans goodbye and the segment went to commercial, I couldn’t help but wonder if the verbal sparring between the Champ and the Chief would lead to immediate blows during the break, or rather if they would save the physicality for inside the squared circle in the New Year of 1975. For two all-time greats that weren’t necessarily blessed with the gift of gab, this entertaining verbal exchange put a nice bow on the year of 1974. And you just knew that each would follow up these heated words with scorching action against the other in 1975! 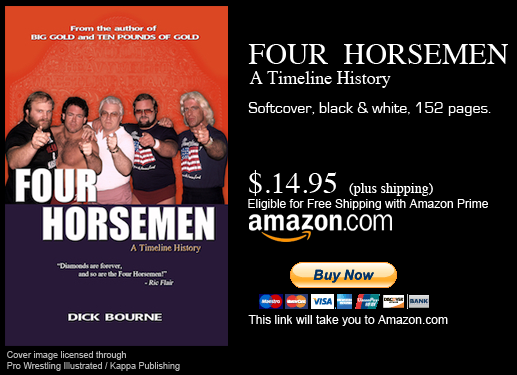 The episode also celebrates the new book "Four Horsemen: A Timeline History", which has been an Amazon #1 bestseller in wrestling books most of the time since it's launch back on June 5th. Join Tony and Conrad as they begin to explore the early years of the Four Horsemen from their inception in 1985. Conrad will use the book as a road map for all the important events and happenings along the way, and Tony will fill us all in on everything that was happening behind the scenes. Rumor has it we may be just getting started! The special Four Horsemen podcast with Tony and Conrad drops this Monday, June 19 on the MLW Radio Network, iTunes, and from wherever you download your podcasts. 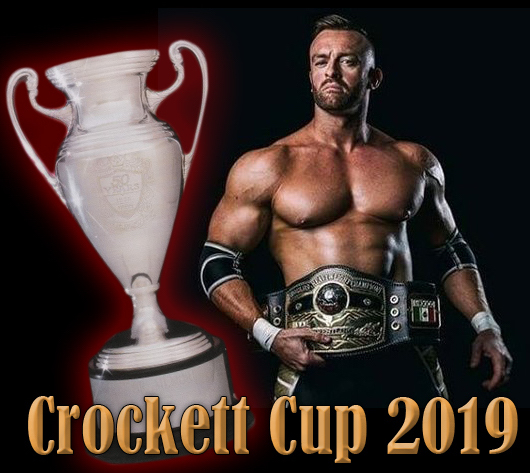 Classic Pro Wrestling and the Crockett Foundation are teaming up to present the first annual Crockett Foundation Cup Tag Team Tournament in July. The one-night tournament will take place on July 15 at the New Kent High School in New Kent, VA, and will feature some of the legendary tag teams from the days of Jim Crockett Promotions as well as some of the young talent of today. 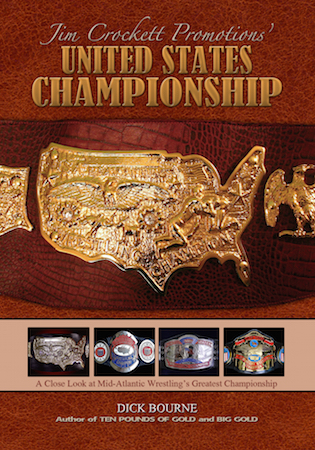 Wrestling legends schedule to appear on the show (including a few who will be involved in the tournament) include Ricky Morton and Robert Gibson of the Rock & Roll Express, former NWA World champion Ronnie Garvin, Jimmy "The Boogie Man" Valiant, the "Powers of Pain" Warlord and Barbarian, the "New Fantastics" with Bobby Fulton, noted ring announcer Garry Michael Cappetta, and legendary referees Tommy Young, and Dave and Earl, the Hebner brothers. 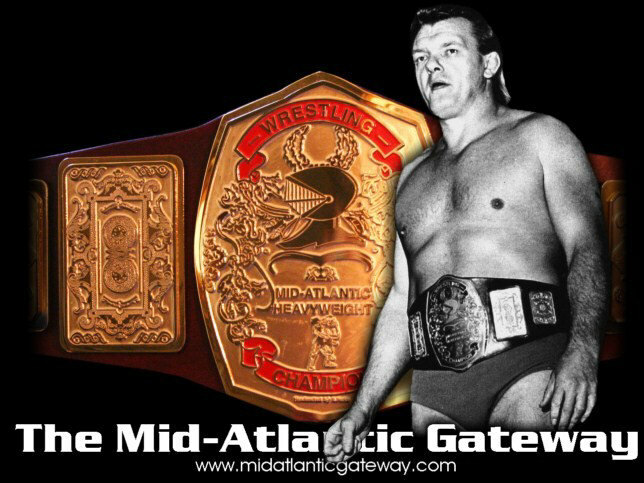 Like the Jim Crockett Sr. Memorial Cup tag team tournament in the 1980s, the Crockett Foundation Cup will honor the late Jim Crockett, Sr., the long time promoter of pro-wrestling in the Carolinas and Virginia going back to 1937. 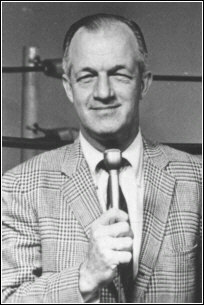 Crockett, Sr. passed away in April of 1973, and his four children took over the company at that point, led by Jim Crockett, Jr. and David Crockett. Both Jackie Crockett and Frances Crockett were also involved with the company, and Frances headed up the family's baseball business as well. The tournament is being presented with the endorsement of the Crockett Foundation in Charlotte, the charitable organization headed up by Crockett's granddaughter Debbie Ringley. Debbie is the daughter of Frances Crockett Ringley. The big show will include a meet and greet session with all the stars, scheduled to start at 6:00 PM, followed by the tag team tournament with a bell-time scheduled for 7:00 PM. 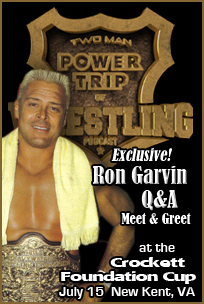 Also that afternoon, the Two Man Power Trip of Wrestling podcast will present a Q&A Meet and Greet with former NWA World Heavyweight champion Ron Garvin from 4:30-5:30 PM, which will conclude before the Crockett Foundation Cup meet and greet at 6 PM. A separate ticket is required for this exclusive Q&A Meet and Greet event. For more information on the Crockett Foundation visit crockettfoundation.com. 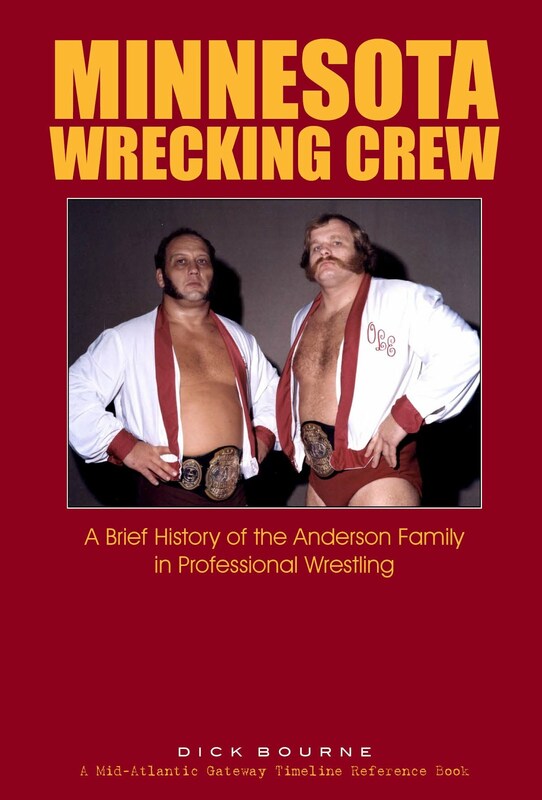 An Amazon #1 Best-Seller in Wrestling! 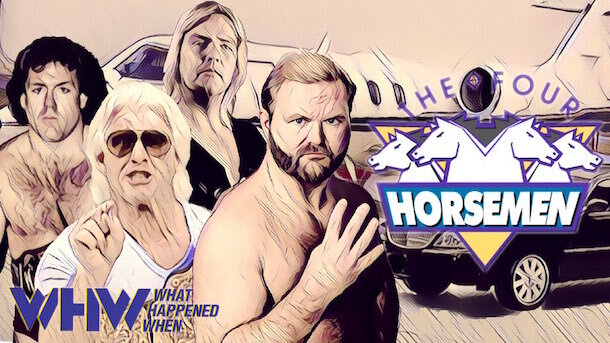 Join Tony and Conrad as they discuss all things related to the Four Horsemen from their inception as a group in 1985 in Jim Crockett Promotions to their demise in WCW in 1999. Conrad will use the book as a road map for all the important events and happenings along the way, and Tony will fill us all in on everything that was happening behind the scenes. 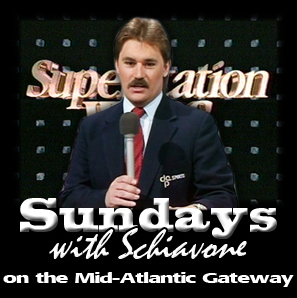 Tony Schiavone was there holding the microphone on Briarbend Drive in Charlotte, NC, when Arn Anderson coined the phrase "four horsemen" as it related to the group. 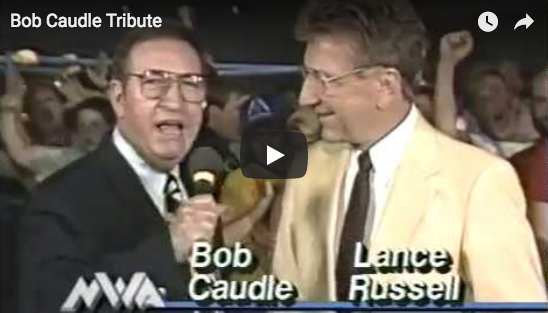 And he was heading up the broadcast team on Monday Nitro on TNT when the Horsemen fell apart. He saw it all in the 13-plus years in between and he will share it all with the loyal listeners of one of the most popular and successful pro wrestling podcasts today. 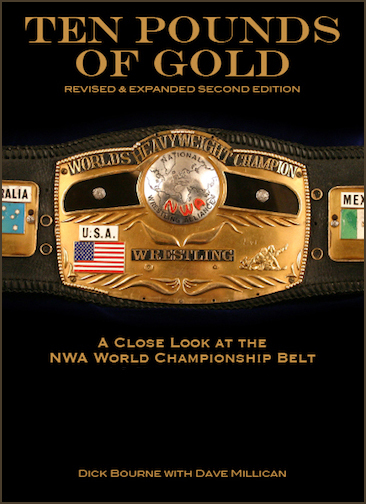 And buy your copy of the book now at WHW.midatlanticgateway.com. 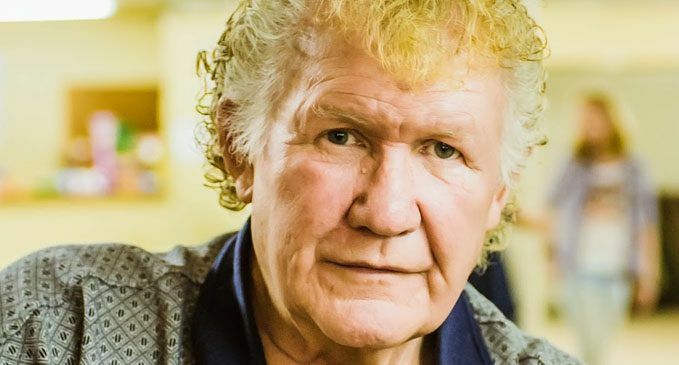 He is widely known as “The Greatest Wrestler on God’s Green Earth.” While that point might elicit some debate among pro wrestling scholars, there’s little argument that Harley Race truly is one of the toughest men to ever grace the squared circle. And he’ll need every ounce of that legendary toughness to overcome his latest setback. The 74-year-old Race recently broke both legs in a fall at his home in Troy, Missouri. His left leg was shattered in several places, including the fibula and tibia along with a spiral break of the left ankle, and he needed four blood transfusions during emergency surgery. Not so surprisingly, Race had to be convinced to go to a local hospital. >> Read entire article on the Charleston Post & Courier website. Don't miss this outstanding behind the scenes article on those wonderful newsstand magazines we all read as kids. It covers the demise of the wrestling magazine business, but ignores the role of the "sheets" in that process. Despite that one drawback, it's one of the most fascinating articles written about the magazines. Weston Magazines and Wrestling's "Creative Journalism"
Why Interview a Fake Person? >> Read the full article on the popMATTERS.com website. The gruff voice belonged to a heavy-set, dark-skinned fellow sitting on a bench in the dressing room. He laced up his boots as he called across the room. A push of the door revealed three more muscular types sitting around – all lacing up boots, all of them scarred. There was Ric in the corner. His hair is white, just like the publicity posters that show him dressed in shimmering white robe with his head uplifted. But his face is pitted and creased, not smoothed by the makeup used for television lights. The place was Fleming Stadium, September 20. The dressing room is the one used by Atlantic Christian College and high school baseball teams. 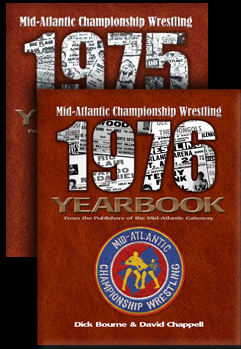 This night it held such wrestling notables as Johnny Weaver, Don Kernodle, Special Delivery Jones and Ricky Steamboat. Flair, widely known as the “Nature Boy” is perhaps the hottest wrestling attraction anywhere now. His long, white hair and boastful manner are not uncommon among pro wrestlers, so it’s unusual that this particular wrestler should attract so large a following. That he has a following there is no doubt. The people who turned out for the Wilson Athletic sponsored event last Thursday didn’t come to see the preliminaries, though they applauded politely for them. 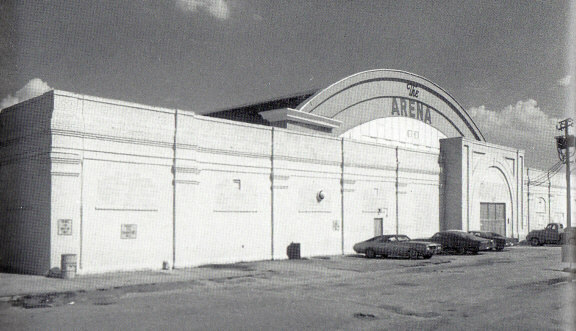 Flair stood in the corridor under the stands just before his main event tag-team bout with Ricky Steamboat against Paul Jones and Baron von Raschke. He stood with his hands on his hips, his biceps bulging out of a black t-shirt. The 6-1, 237 lb. Flair is a mammoth of a man and perhaps even more flamboyant than Muhammad Ali. But out of the ring, away from the adoring crowd, he’s much different. He talked about his sudden rise in popularity over the last several years, a rise even more phenomenal since Flair was one of the “Bad Guys”. 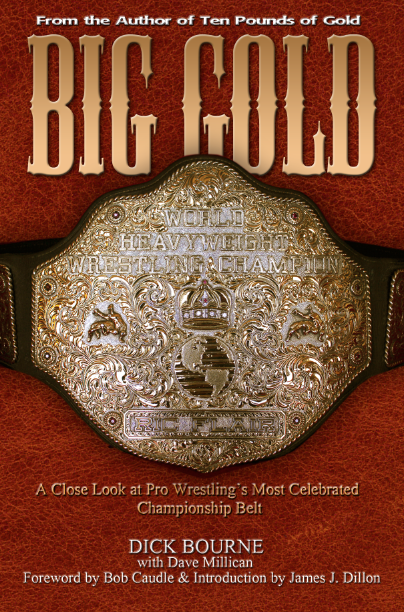 “I’ve never changed my style of wrestling,” Flair said. 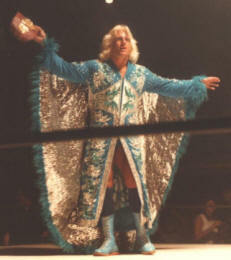 Flair has held virtually every major wrestling title in his seven year career. Everything but the world championship. The 28 year old has been earning a six figure salary since age 22. He started in pro wrestling in Minneapolis, Minnesota, where he attended the University of Minnesota and played middle guard on the football team two years. He quit football and concentrated on wrestling. 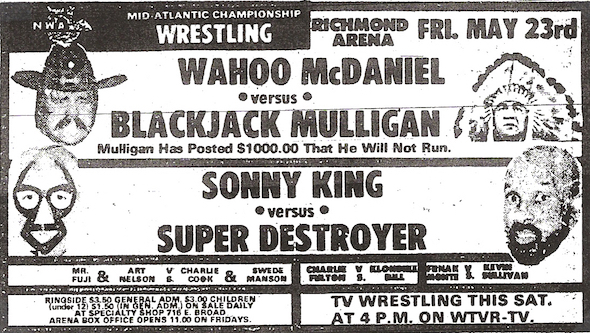 Promoter Verne Gagne, a former wrestler himself, got Flair two preliminary bouts; then he moved to North Carolina in 1974 where he’s wrestled main events ever since. Ricky Steamboat was a fierce enemy of Flair’s a while back, but now Flair finds himself teamed with Steamboat in his quest to regain the World Tag Team Title from Raschke and Jones. Many think pro wrestling is a phony show put on for the sport’s aficionados; but wrestlers, as exhibited by the excellent condition of Flair and Steamboat, are good athletes and are out to reach the top in their sport. And Flair, if not the best of the showmen, is certainly the most beloved. In a scene almost straight out of Rocky II, Flair stepped out of Fleming Stadium’s dugout between a funnel of churning, worshipping fans – not all of them children. While in the ring, the “Nature Boy” elicited responses from the crowd just by stroking his long, white locks that have become his trademark. And, of course, Flair won – with a little help from Steamboat. Thanks to Peggy Lathan for her transcription of this newspaper article.